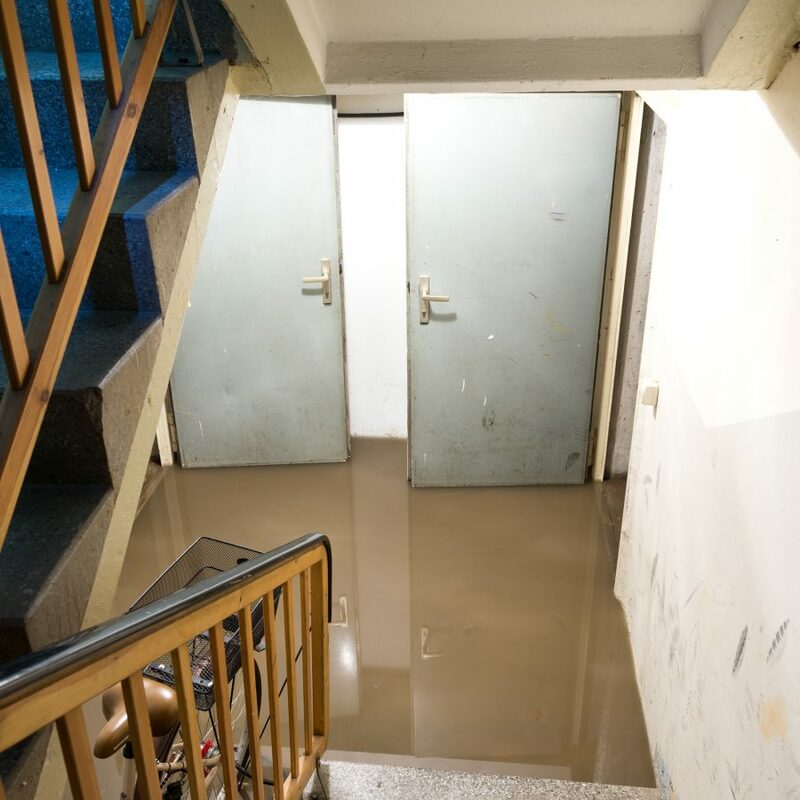 Sometimes the unspeakable happens, but there are a few ways you can prevent basement floods from occurring. It all starts with the basics in plumbing. Sound knowledge and understanding of your home can help you identify general causes of basement flooding to avoid a soggy disaster. As a homeowner, you’re responsible for your pipeline connections to municipal systems, as well as what you put into those connections. Sanitary sewage is the only thing that is permitted to be discharged to the sewer. However, the sewer around your home has shared ownership. If your home has a basement, there’s always a chance that you can have a flood. It doesn’t matter if it’s a small pool of water, or a sloppy sewer mess, a flood is a flood. The important thing is to remain calm and work diligently, but methodically. Notify your city’s engineering department if your basement floods. Storm sewers, stormwater, and drainage issues are managed by these key departments. Your local municipality will alert you to any area-wide flooding concerns and can survey your property to help resolve the problem. What is your municipality doing to address flooding in the community? What can I do as a homeowner to protect myself and protect my neighbors? What type of servicing do I have to my home? Where can I find more information on basement flooding? Does the municipality offer any financial assistance programs? It’s important to report your flood to your local government. The more reports filed within a given area, the more resources may be allocated to understanding flooding problems. When you know your homeowner responsibilities, it’ll be easier to take action. 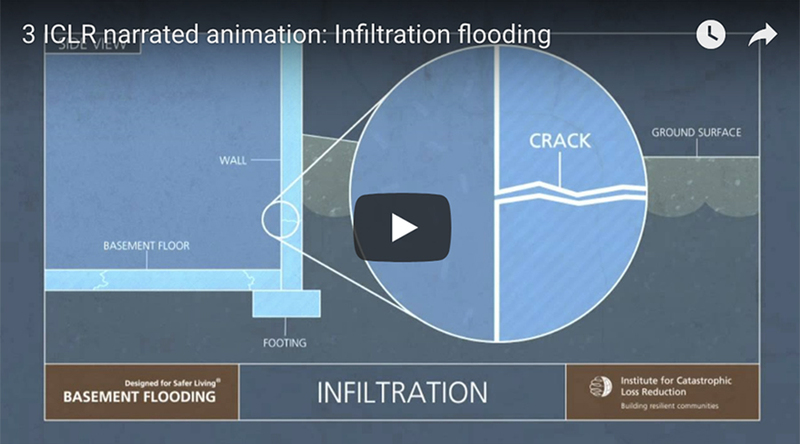 Identify flood risks by understanding how your drainage and plumbing work. Because building practices and codes evolve over time, it’s important to keep up with the structure of your home over time. Determine specific elements of your home’s plumbing and engage a licensed plumber who can conduct specialized dye testing and/or camera inspections. 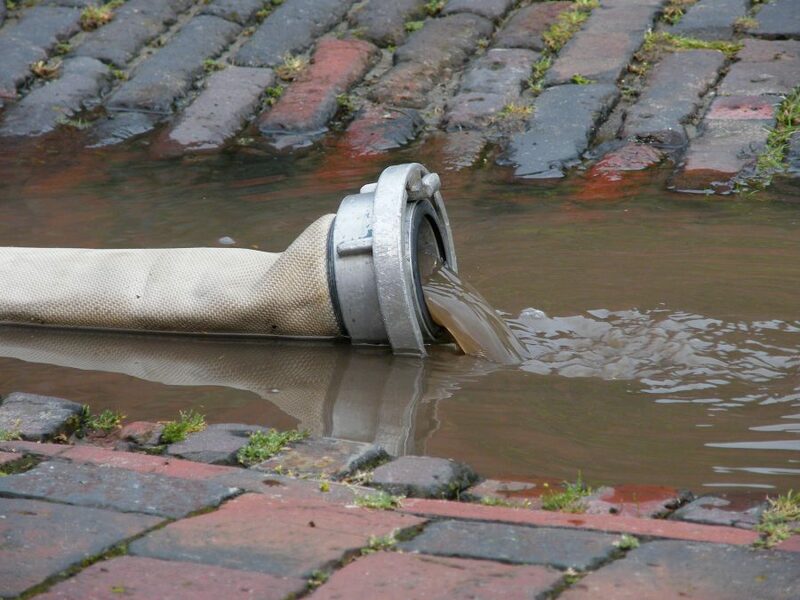 Do your downspouts flow into the sanitary sewer? Many flood prevention items are simple maintenance to avoid unwanted water inflow routes. A form of flooding usually not covered by insurance is the entry of water from water inflow paths—any hole or path that allows surface water to enter. Holes intentionally constructed for powering a furnace or incoming electrical mains are potential flood routes. Aging window frames, window wells, gaps beneath doors, are all potential flood warnings. Seal cracks from inside your basement. But if you find substantial, exterior foundation cracks, seek professional contractor help to prevent unfortunate leakage and basement flooding. Foundations deteriorate over time. This deterioration, as well as structural setting and construction flaws, cause weak spots and dangerous cracks in your foundation, walls or floor. High pressurized groundwater level around your home may submerge in these cracks and cause a leak. Leakage rates might be minimal—but can be significant, depending on how large the opening is and much water is near the crack. Your roof shingles need replacing every 10-15 years, it’s just as important to maintain your home’s foundation. Ensure effective drainage of your roof is to maintain your downspouts and clear your home’s eavestroughs. Clogged downspouts may result from spring heavy rainfall and season fluctuations. Melting water fills up and spills over, trickling down the wall into your foundation. 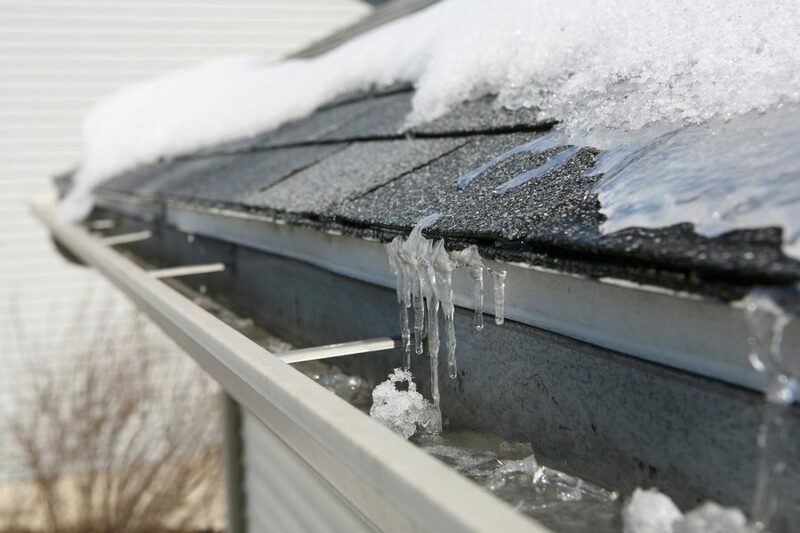 When water freezes and expands, blockages can split seams on your downspouts and gutters. This “runoff” water flows quickly, especially off of slanted roofs. Homes built earlier than 1960 now have illegal connections that contribute to sewer back-ups and basement flooding. If your downspouts enter a pipe that goes below grade, take steps to disconnect them. Make sure your downspouts are non-intrusive. Allow water to discharge as far away from your foundation as possible and consider swivel or fold away extensions. Discharge water to splash pads or grassy areas of your property—and not into your sanitary system. Avoid discharging onto your neighbor’s property or into walkways, as this practice could lead to your neighbor floods and slip hazards. A rain barrel can also store clean water. Runoff water can be used for your lawn or garden. Located on the streets, catch basins storm sewer grates are responsible for drainage into the storm sewer. If these basins get obstructed—especially after a spring snowmelt, they can cause big problems. It’s wise to exercise the simple activity of clearing out your catch basin to avoid flood problems for you—and your neighbors. Also, during fall season with a cluster of leaves, storm drains can be the culprit of localized street flooding. Catch basins that service a reverse-sloped driveway should connect to the storm sewer, not the sanitary sewer. Speak with your city’s engineering department about installing a yard basin. It’s a homeowner’s expense, it’s a worthwhile investment, providing a suitable outlet for runoff water. If these high basin water levels enter your basement and cause a flood, it’s not usually covered by insurance. Swales (ditches) may exist on your property. Swales are effective at moving collected water to a discharge points, like a catch basin. Do not construct fences or sheds that impede water runoff into them. Control surface water from entering your home by ensuring that water flow routes are diverted elsewhere. Slope the surface ground away from your home’s foundation. Backfill soil is disturbed, settled soil from the construction process that’s more porous and allows water to seep through and slope towards your home. Using undisturbed, clay based soil to lot grade is best as it doesn’t hold as much water. 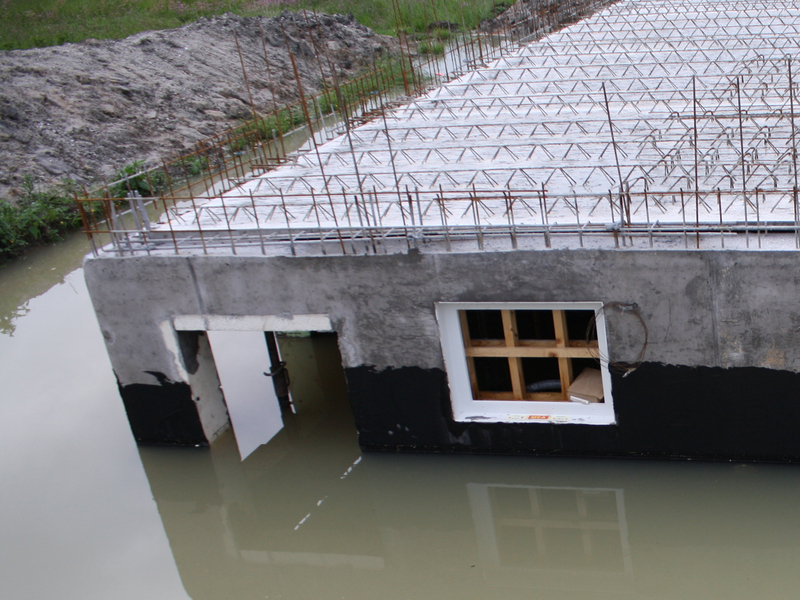 It’s used to slope water away from your home’s foundation. Make sure that grading moves water to a swale (ditch or natural drainage path), so it does not pool in your rear yard, back of your house, or in between homes. Called “positive lot grading”, this process is required by code with new home construction. Over time, house settling, additions, or decks, positive lot grading is often neglected and increases flood risk. Foundation drainage differs from home to home. Newer homes may not have any foundation drainage system at all. Conduct a plumbing inspection to determine if your piping is adequate and working as well as it can be. Regular sewer snake outs may be necessary if you have frequent basement floods. Homes with a foundation drainage system may have several components to them. Keep your basement dry by having an efficient functioning foundation and drainage system. Coarse gravel around your foundation floor and outside foundation walls allow for rapid flow of water, for drainage purposes. Install weep tiles, sump-pits, and sump pumps to control ground water for homes in swampy areas. If you have a sump pit, it’s likely you have weeping tiles that collect water around your foundation These tiles allow water to flow to your sump pit. Don’t know what you have? If this informations sounds complicated, consider hiring a qualified plumber for assessment and solid direction. If you don’t have a sump pit, your drainage flows elsewhere. Weeping tiles take water away from your home to infiltrate into drainage materials or they may be connected to your sanitary or storm lateral. This perforated drainage solution collect water, allowing it to flow out to a suitable destination. If you have chronic basement dampness or flooding problems, consider weeping tile installation. While not an inexpensive procedure, weeping tiles provide a functioning drainage system to keep your basement dry. Tiles need to be well maintained from sediment build up or decay collapse in order to avoid flooding or costly excavation. A backwater sanitary valve is a valve that permits one way flow of water. The valve closes when water levels rise on the downstream side of the valve—blocking flow in the reverse direction. When built into a sewer lateral, backwater sanitary valves offer sewage backup protection. In addition, a backwater sanitary valve may be useful with a reverse-sloped driveway catch basin to help reduce flooding. All basements are at risk of flooding. Every precaution doesn’t eliminate risk, it just reduces it. Sewer lateral maintenance is no exception. A failing sewer lateral is usually only detected when unwanted water bubbles up from your basement floor drain. A storm sewer lateral provides an additional connection to a municipal system—the storm sewer. While it serves as a handy outlet for downspout drainage, storm laterals have an added liability when the storm sewer is overflowing. If you don’t use it, consider having the storm lateral disconnected. Gas lines may intersect the sewer line that leads to your home. 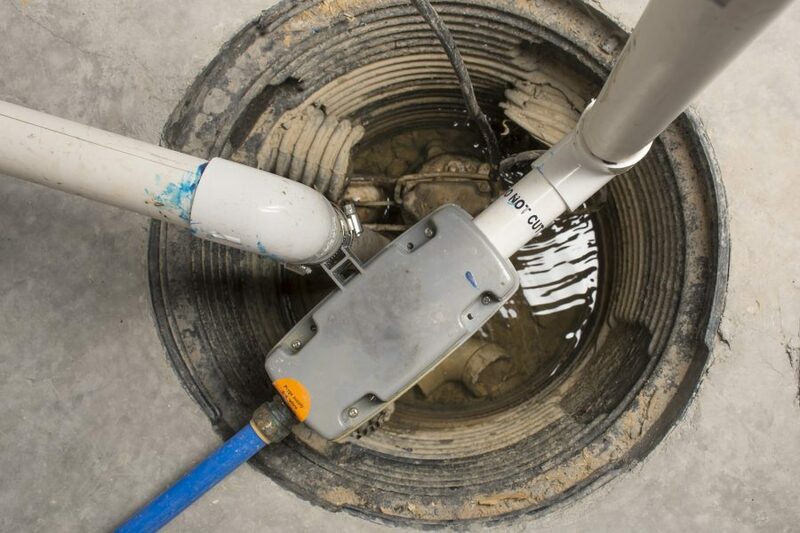 Sewer equipment used to disconnect laterals could damage intersecting gas lines, leading to gas leaks. Severance of storm laterals and proper installation of backwater sanitary valves are critical, and both require a plumbing permit—and a professional. Stay safe and check with a reputable plumber. Basement windows attract moisture. Install window wells around all windows that are below or close to your lot’s surface. Include a drainage layer that extends to the weeping tile and keep your property around the windows graded. Window and window well-covers help in seasonal or turbulent weather. Proper window coverage help by improving drainage around the window and can help route water to your foundation drainage system, rather than through the window frame itself. A reverse-slope driveway is built downhill—towards your home, rather than downhill toward the road. Reverse-sloped driveways are a significant flood risk because water aims straight to your home. To reduce the likelihood of road runoff flowing down your driveway, consider building a small rise (> 15 cm high) relative to the road. Investment in altering the drainage of a reverse-sloped driveway requires considerable work and expense, but you can prevent considerable overland flow routes that can lead to flood disasters. 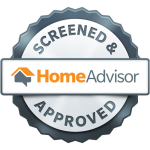 Review your homeowner policy to determine what’s covered and what’s not. Your insurance agency and/or underwriter will be able to spell out and outline any ‘overland’ flood coverage. Some insurers offer extra provisions to your home insurance policy, but in most cases, home insurance does not cover floods occurring from surface or ground water that enters your basement through cracks in your foundation walls or floors. Doing laundry or running your dishwasher increases your flood risk and overloads the sewer system. It’s particularly important if you have a backwater sanitary valve. If your backwater sanitary valve is closed because the sewer is full, you could flood your basement. This domestic wastewater won’t be able to drain into the sewer main. It’s best to wait a few hours after heavy rains to undertake heavy water use practices. Fats, oils, and grease cause sewage backup. These materials eventually cool, solidify, and accumulate in your piping system, or the sewer main. The risk of basement flooding is never unavoidable, especially in areas that are downriver or live where there are record rainfalls. The lowest level of your home is your basement floor—where water accumulates first. The basement is at greatest risk of getting flooded. Make a list and take images of everything you have and everything you want to organize and store in your home—particularly in your basement. This extra step is not only ideal for organization to prevent loss, but also great for insurance purposes too. If you must store items on the floor, consider ideal space usage. Lift items up on shelving or risers and use water tight containers. Heavy duty, easy to install units are available at your local hardware establishment or major home improvement stores, such as Home Depot, or Lowes. Reliance on basement space as usable living space is on the rise. Finished basements are often used as recreation rooms, cozy man caves, or extra rental space. Basements are often equipped with expensive electronics and exercise equipment too. The insurance industry notes that basements are the primary cause of significant flood problems. The average basement claim is $15,000 to $20,000, but depending on damage, up to $100,000 is common. Homeowners either are unaware of the severity of basement problems, or understand their risk and choose to utilize the space anyway. When planning how to use your basement space, stay informed and be diligent. Basement Floods, Can You Prevent Them? Flooding is not completely unavoidable. However, you can take steps to prevent the worst from happening. 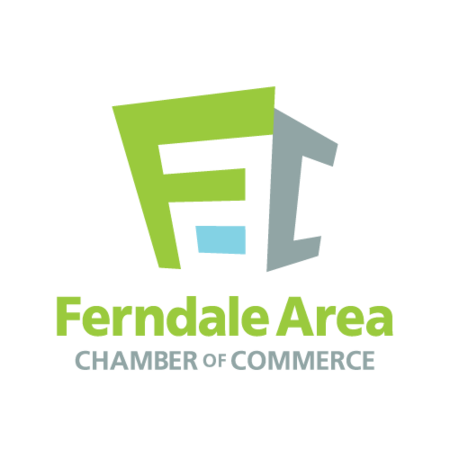 Staying informed and knowledgeable about home’s sewer structure, internal plumbing, and your community’s drainage system is half the battle.